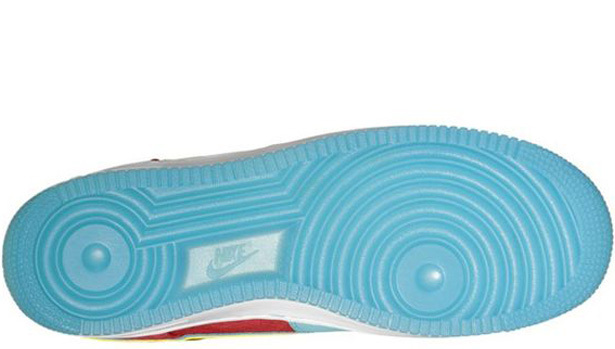 Take a new look at the next Year of the Dragon-inspired colorway of the Air Force 1. While we are half way through 2012, the celebration of the Year of the Dragon continues. Earlier this year, Nike released a black-based colorway of the Nike Air Force 1 Low celebrating this year's Chinese Zodiac. Next up, a red an blue-based colorway. Dubbed the "Year of the Dragon II," these feature red scaled panels along with a metallic gold Swoosh on the sides finished off by a translucent outsole. 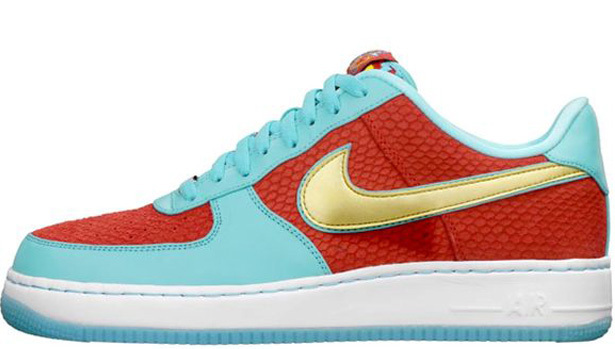 The "Year of the Dragon II" Nike Air Force 1 Low is set to release later this year.